Flowering tea, also referred to as blooming tea, is crafted by hand by artistically binding together loose gourmet tea leaves and edible flowers. 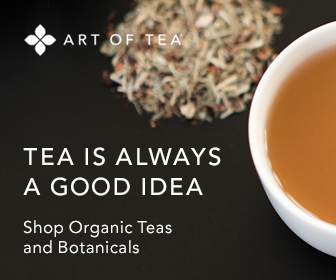 The tea and botanicals are meticulously sewn with cotton thread to form a tea ball or bundle. When the tea ball is immersed in a glass teapot filled with warm water, an art form evolves before your eyes. The tea gradually unfurls in view to create beautiful floral artistry in the teapot. Once the blossom is fully open, it is steeped in the water for only a few minutes longer. The brew is then ready to drink and is poured into cups and served. It may be served with lemon and sweetener, depending on your taste preference. If the blossom is left in the warm water for a longer time, the appearance of the flower will degrade, as will the delicate flavor and sweet aroma of the tea. The type of flowers most often used are the chrysanthemum, hibiscus, lily, sweet olive, marigold, and peony, according to tea expert and professional cook Kate Prescott of primatea.com. The most popular tea varieties are jasmine pu-erh, lily fairy black, and lychee nut flower. In addition to enjoying the beauty and tea experience with friends and family, blooming tea makes a unique and memorable gift. You can find and purchase these exceptional hand-crafted tea balls at quality tea shops and through online tea retailers. Typically, you can buy as few as two or three blossoming tea balls at a time. Or, opt for a larger quantity, based on availability from the tea purveyor. As with other forms of tea, brew from your blossoming tea naturally contributes to improved health and wellness. For more information on the advantages of drinking tea, click here: Tea Health Information.